As founder of the monthly sold out Boulder Magic Show, Braden Carlisle offers a multitude of magic services! 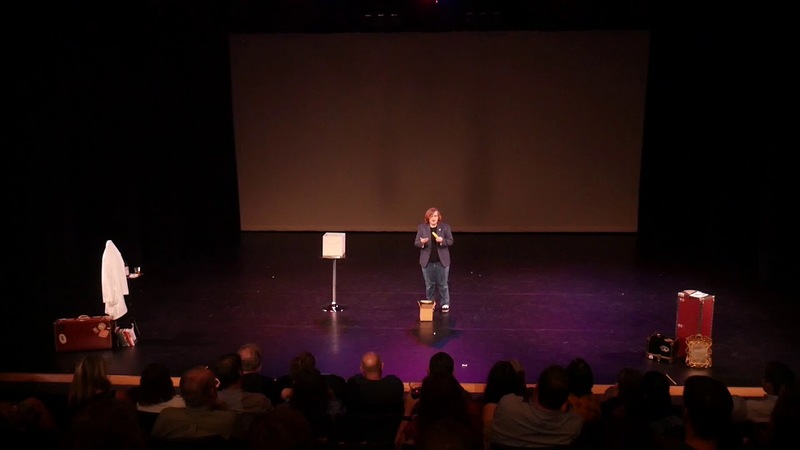 A VERY FUNNY COMEDY MAGIC ACT - great for special events, corporate functions, parties, weddings, and whenever you want your guests to have a great time. Ask Braden how he also teaches magic! Braden Carlisle was the perfect hire. He is the third magician I’ve hired for different birthdays of nephews and children. He also happened to be the best. His magic show was very unique and he did things that none of the kids had seen before, even though this party was full of 10 year olds that love magic! When I asked him how that was possible, he said he creates his own magic tricks and routines so that he stands out in the area. He was awesome! Not only was his magic great, but he was super easy to work with. After one message on this site and a phone call, Braden was booked. He sent me an email the day before the event to confirm everything so I didn’t have to worry about the magic show day of. I highly reccomend Braden! Fun and entertaining show for kids And adults. Braden is funny and talented! He handled 35+ 7 year old's at my twins’ birthday party beautifully. He incorporated the twins into his act and held all the kids’ attention nicely. He communicated very well with me through out the entire process, from beginning to end. Also, the balloon animals were a hit! I would definitely hire Braden again. Braden was awesome to work with. He got back to us quickly and was very communicative. His magic show was a hit at my son’s party. Both the kids and adults loved his humor (for different reasons) and everyone was amazed by his magic! I’d definitely recommend Braden! Braden provided a great magic show for the kids, and even had the parents laughing alongside them. Not only was his show fantastic, but he was super professional and great to work with. He stood out to me in his communication. I've worked with a lot of entertainers, but Braden was always very quick to reply with all the relevant information. His look was professional when he got to our party, and he put on a great show and was amazing with interacting with the kids! I would recommend Braden Carlisle's magical talents to anyone! What to expect? You should expect a professional level show with great visuals and audio completely tailored to your needs. Close up? Stage? Corporate? Birthday? Comedy? Bizarre? Kids? Adults? Braden Carlisle has a show that's perfect for everyone and is dedicated to making sure it is as professionally fun as possible! As a side note, please do not hesitate to tell us if you would like a certain trick to be performed! Levitating the birthday girl, sawing the CEO in half, even something smaller but memorable like Braden's sponge bunnies routine; any and all suggestions are more than welcome! 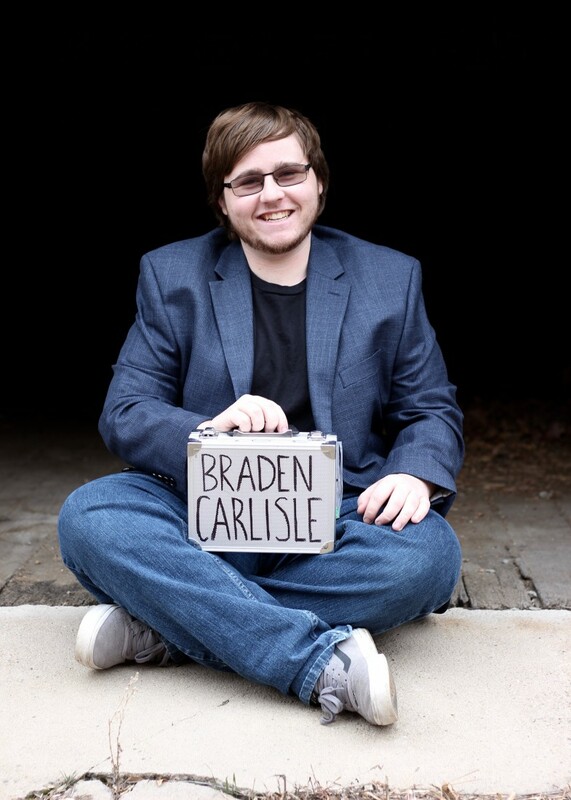 Braden Carlisle is the founder of the Boulder Magic Show. 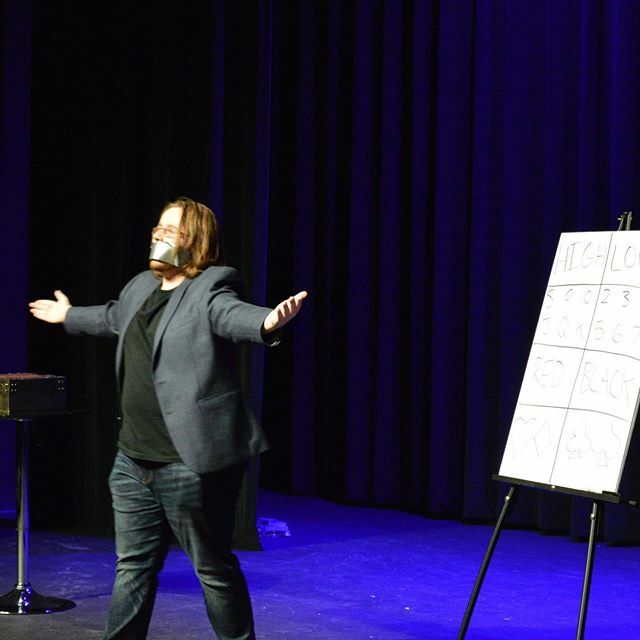 It is a monthly magic show that started in 2018 and has sold out each and every month since its beginnings. Along with starting the Boulder Magic Show, Braden Carlisle is the host of podcast "Awesome People Talking", author of magic theory book "Agree to Disagree", and a proud graduate of the Hufflepuff House at Hogwarts. Amongst his many accomplishments, one of Braden's proudest achievements is completing the Kanto Pokedex. 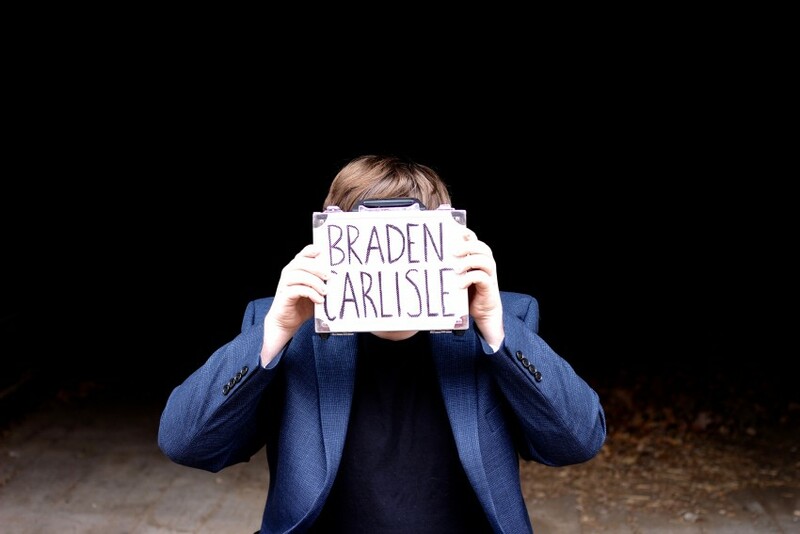 Along with astounding and amazing, Braden Carlisle will leave you laughing harder than you ever thought possible at a magic show. Lighting: For a stage show, lighting can be dependent on the venue and discussed in advance. Nothing special is needed, but being able to turn down the house lights and have a spot is a plus. For walkaround, nothing special is required. Sound: For walkaround magic and most parties I don't require amplification. In the event that I do or for larger shows, I own a professional quality portable sound system. If the venue can provide a sound system, though, that's wonderful. I prefer to use my own headset microphone, though, as I need to be hands free for the magic. For birthday parties, I don't need any of that special equipment at all! If these requirements can't be met, don't sweat it. I just need a way for people to see and hear me, so I'm sure we can work together to make that happen!